Organising a backyard party can take a lot more work and be much more stressful than you might initially imagine. Most people don’t realise just how much work is required until they get into the nitty-gritty of it all, suddenly panicking about where guests will sit, how the drinks will be kept cold and what the weather will be like. You may consider hiring a professional party company to take care of the planning and ensure the event runs as smoothly as possible. 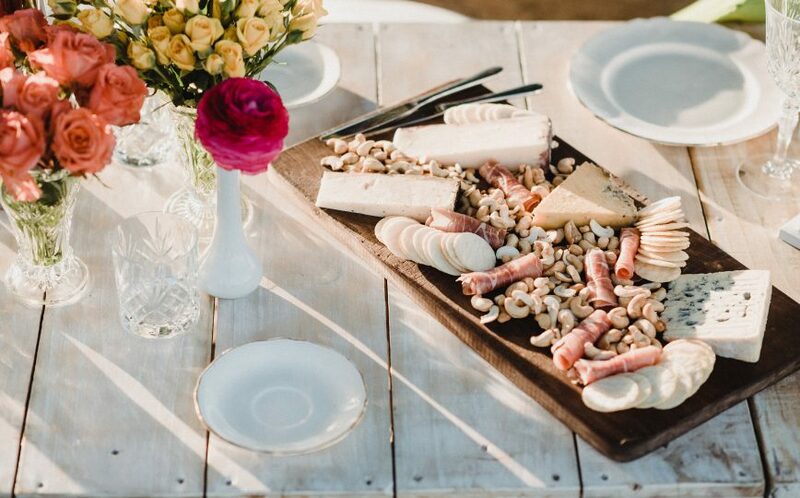 Next time you’re hosting a backyard party or casual soiree, keep these tips in mind to hold a memorable event that goes off without a hitch. Before you even start the planning process, the first thing to ask yourself is whether you want your party to have a theme. Choosing a theme can make the planning process easier, as it gives you a direction to go in when choosing decorations, planning food and figuring out all the finer details. Consider whether your backyard party is going to be casual and laid back or a more elegant and sophisticated affair. Party themes are only limited by your imagination, with popular theme options including Hawaiian, Tropicana, pirate, boho, 60s, Bollywood, Palm Springs pool party, high tea picnic, Mexican fiesta and many others. Picking a certain colour scheme to complement your theme is also helpful to get your party plan rolling. Organise furniture, supplies & equipment. Once you’ve chosen your theme, assess your backyard space and consider whether you have the right furniture, supplies and equipment needed to bring your vision to life. Do you have enough seating for all guests? Do you have the right height tables to serve food on? Do you have enough cutlery and glassware? If you don’t have all the equipment you need, ask friends or relatives if they have supplies you can borrow, or hire your backyard party supplies for a fraction of the cost of buying them brand new or second hand. From glassware to dance floors to lighting to umbrellas, you can hire it all! It’s also more space efficient and better for the environment than buying lots of stuff you may never use again. When choosing the type of food and drinks you want to serve at your backyard party, there are several things to keep in mind, including budget, theme and type of occasion. If your plan is for guests to be standing, choosing complex meals that require seating, cutlery and sturdy plates isn’t the best idea. Opt for easy nibbles and finger food instead that can be passed around on trays and easily eaten with one hand. Think dips, cheeseboards, croquettes, sliders, tacos, prawns and mini pizzas. Maybe even set up a lolly or dessert bar where guests can pick and choose their fave sweet treats. Likewise, the idea of serving cocktails might sound like a great plan, but who is going to make them? Having a premade punch or jugs of sangria can be a great alternative to freshly mixed cocktails. Set yourself realistic plans within your skills and budget and consider hiring a caterer, wait staff or a bartender to take the pressure off if that’s within your price range. That way you can enjoy the party with your guests rather than stressing about prepping and serving food. We all know how unpredictable the weather can be – a backyard party in the middle of January doesn’t guarantee a hot sunny day any more than a soiree in July guarantees wind and rain. Whatever time of year your party will be held, make sure you’re prepared for the requirements of the season and have a backup plan. 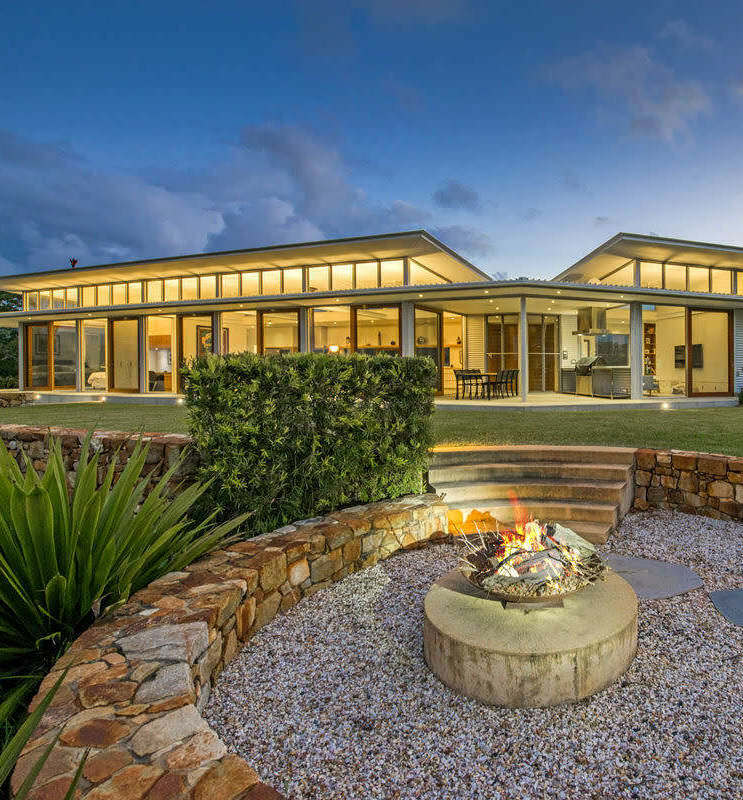 If it’s a colder month, hire some outdoor heaters, hand out blankets or set up a fire pit to keep your guests warm. Don’t forget marshmallows to roast and hot chocolate of course! If your party is in spring and summer have sunscreen, fans, plenty of water and ice buckets on hand. You could even hire a marquee to set up on the lawn so your guests will have shade and protection from the rain if an unseasonal storm threatens to spoil the day. The right playlist can really make or break a party. When selecting music for your event, don’t just choose your favourite songs or the latest hot hits – opt for popular songs that every generation knows and can enjoy just as much. Stick with the classics, keep things upbeat and happy and make sure your playlist is long enough to last the duration of the party. Do you need protection against mosquitos, flies or other bugs? Do you have adequate, ambient lighting? Are there sufficient transport options for guests? Do you have a space for dancing or other forms of entertainment? Where are you going to cool the drinks? Where will guests put their recyclable bottles or rubbish? 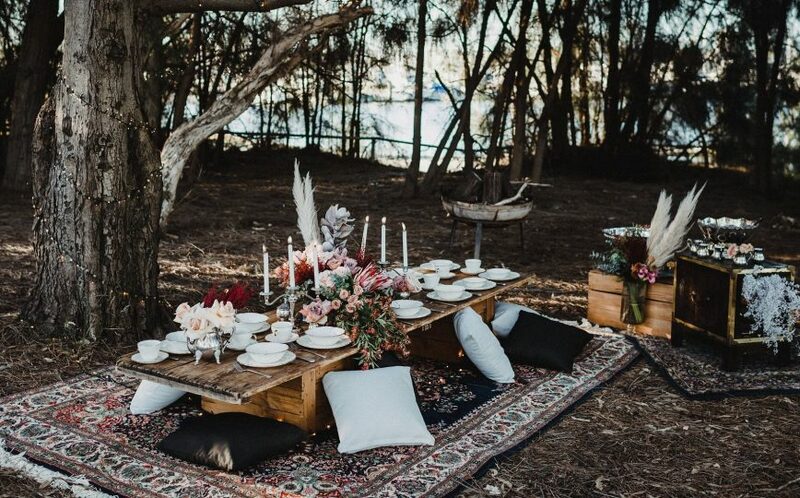 For more backyard party inspiration, check out Perth Party Hire, ways to beautify your yard, backyard wedding ideas and how to prep your home for an Australia Day BBQ. Rebecca Tunks is a digital marketing guru. She manages a variety of digital campaigns for small to medium businesses under her business CKY Media.